Our paradigm at KRYPTON is relatively simple. We want to be independent in deciding what we do and when we do it. Cut back to the core. No need for numerics, date fields or trendy dials. We need toughness and illuminating power. We sacrifice the concept of a predefinied future. Take the time that you need and shape it instead of obeying. 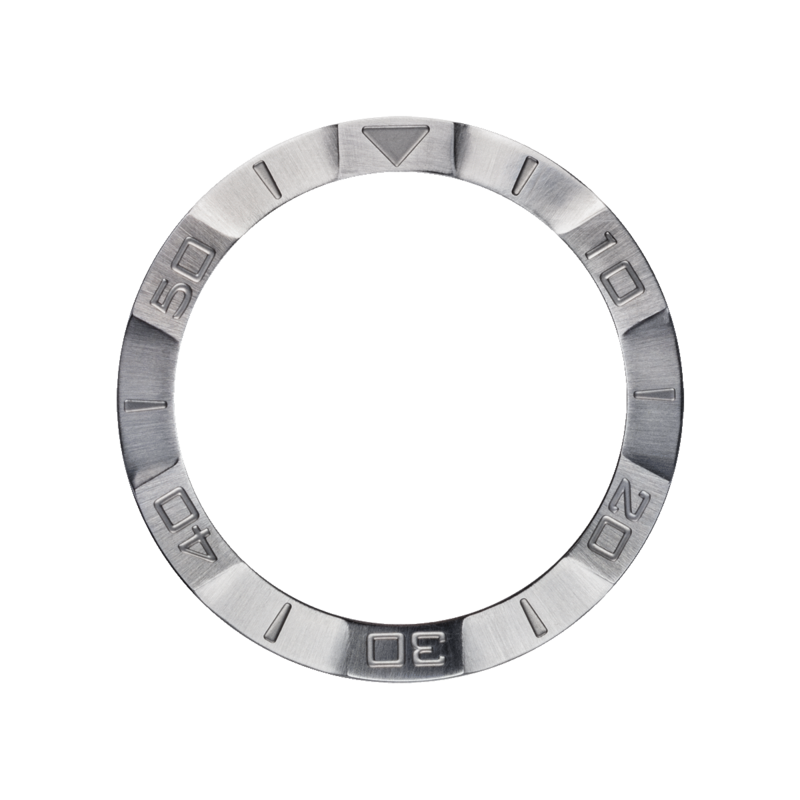 The Krypton case is constructed from anti-magnetic stainless steel alloy 316L, better known as surgical steel. This special alloy is composed of more than 10.5% chromium, which creates an impervious passive protective layer on the outer surface. More than 8% nickel level increases resistance to corrosion and ensures mechanical strength and a hardness level of approximately 200 Vickers. The addition of 2% molybdenum guarantees resistance to corrosion in salt water. All this combined guarantees maximum resistance. 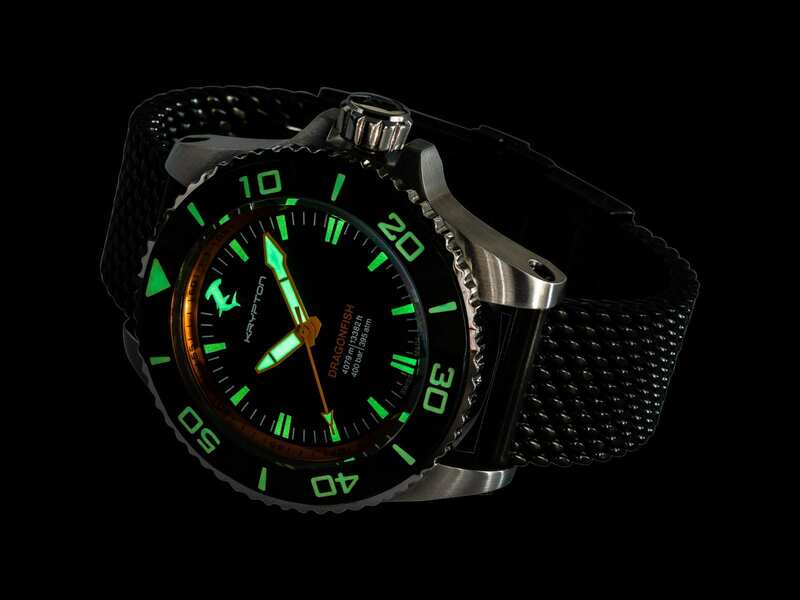 We utilize the environmentally friendly and highly phosphorescent luminous material Super-Luminova® on dials, indices and bezels. 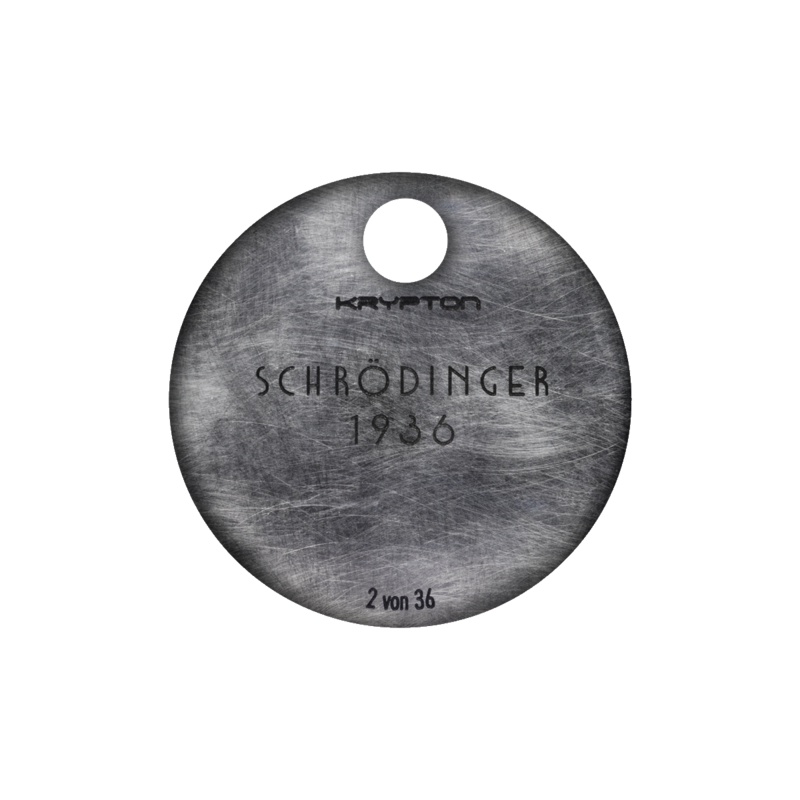 It is an inorganic aluminate with an afterglow of up to 1000 minutes that can also be clearly read after ten hours in darkness. Krypton uses only Super-Luminova® C3 and BG-W9 in a double coating process, by far the most luminous materials in its class, guaranteeing effortless and clear readability in even the darkest of conditions, such as at night time and at extreme diving depths. DLC-Coating consists of nano-crystalized carbon layers that are nearly unmatched in hardness, smoothness and wear-resistance. These layers (DLC = diamond-like carbon) have been originally developed for applications in professional automobile racing, such as to minimize wear and friction. As the name implies, DLC offers some of the outstanding qualities of natural diamond. These are used by Krypton to make surfaces chemically and abrasion resistant. Moreover, the biocompatible coating gives us an extreme hardness of up to 4,000 Vickers. Thereby the surfaces areas get more than ten times harder. Our watches are a reliable companion, even when times get tough. Life may depend on a diving watch. This is why we have Krypton watches tested independently by a renowned testing laboratory. For that matter different pressure stages are initiated in pressure chambers filled with water and the watches are tested for watertightness and functionality. Our timepieces defy all weight. The Dragonfish accompanies the Kryptonaut down to 4,079 m water depth. This corresponds to a weight of 7.3 tons. Theoretically, five vehicles could park simultaneously on the Dragonfish. 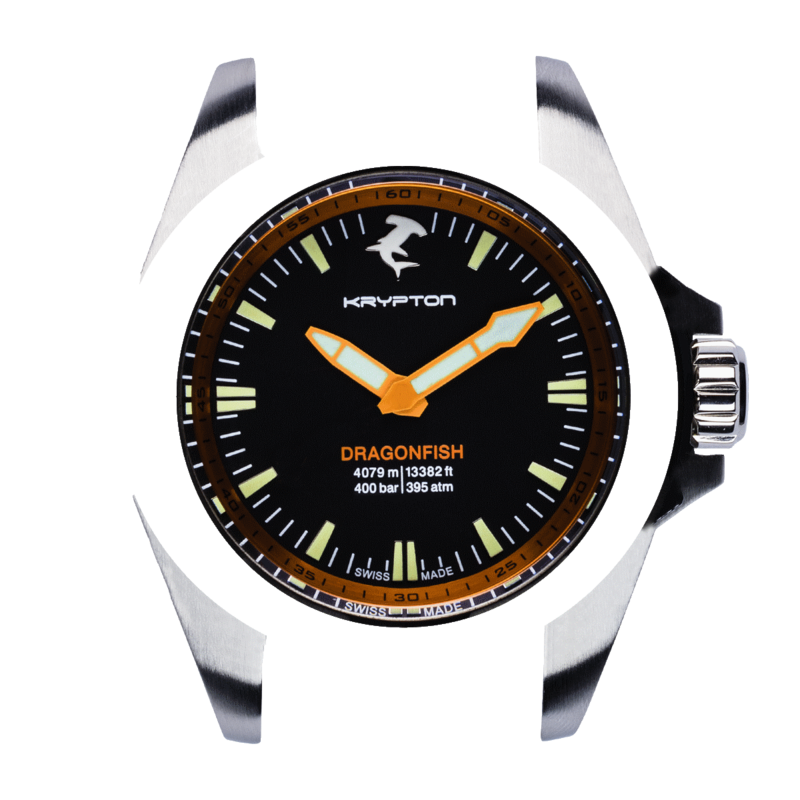 In order to withstand this pressure, Dragonfish uses a domed sapphire crystal with a thickness of 7mm. 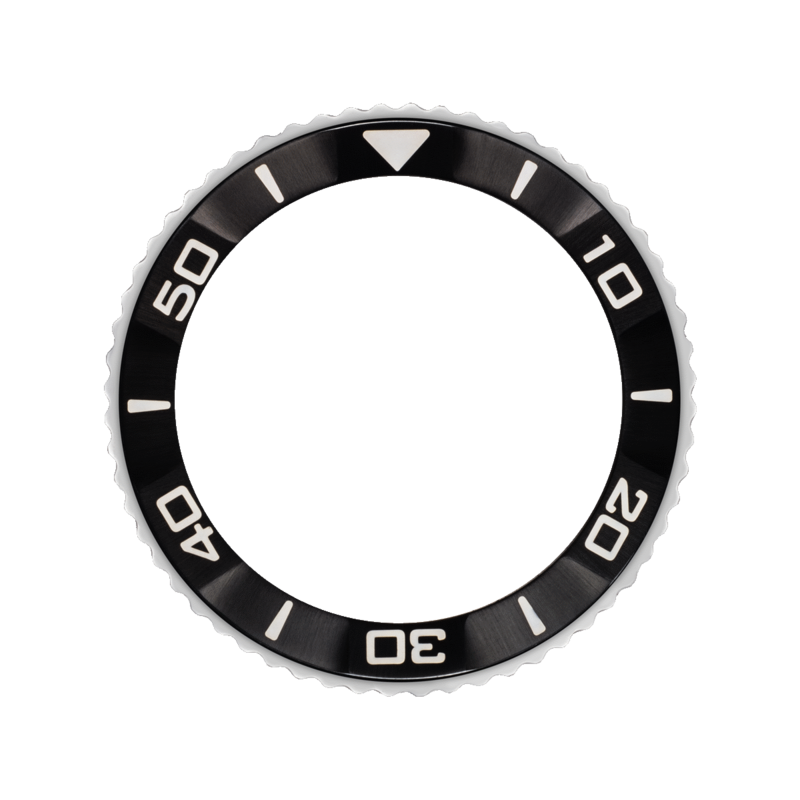 In addition, the automatic helium valve ensures that there is no overpressure during decompression phase so that the watch glass and seal can not blow.